We're not getting a Death Star. The White House made that official. 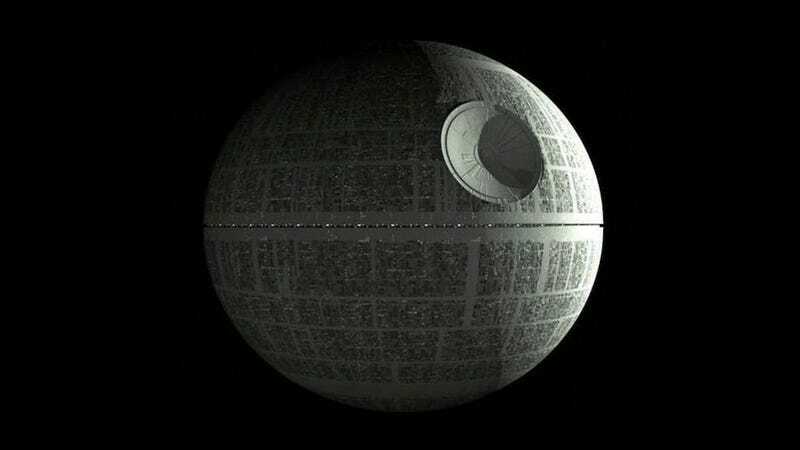 But what does the Galactic Empire think about Earth abandoning our Death Star project? Well, they think our "unimaginatively named planet" is filled with cowards! The overwhelming military superiority of the Galactic Empire has been confirmed once again by the recent announcement by the President of the United States that his nation would not attempt to build a Death Star, despite the bellicose demands of the people of his tiny, aggressive planet. "It is doubtless that such a technological terror in the hands of so primitive a world would be used to upset the peace and sanctity of the citizens of the Galactic Empire," said Governor Wilhuff Tarkin of the Outer Rim Territories. "Such destructive power can only be wielded to protect and defend by so enlightened a leader as Emperor Palpatine." Representatives on behalf of the nation-state leader from the unimaginatively named planet refused to acknowledge the obvious cowardice of their choice, preferring instead to attribute the decision to fiscal responsibility. "The costs of construction they cited were ridiculously overestimated, though I suppose we must keep in mind that this miniscule planet does not have our massive means of production," added Admiral Conan Motti of the Imperial Starfleet. Emissaries of the Emperor also caution any seditious elements within the Galactic Senate not to believe Earth's exaggerated claims of there being a weakness in the Death Star design. "Any attacks made upon such a station—should one ever be built—would be a useless gesture," added Motti.